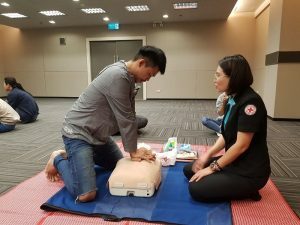 This was the first training in 2018 (1/2018) conducted for Grab taxi drivers and Grab Bangkok staff. 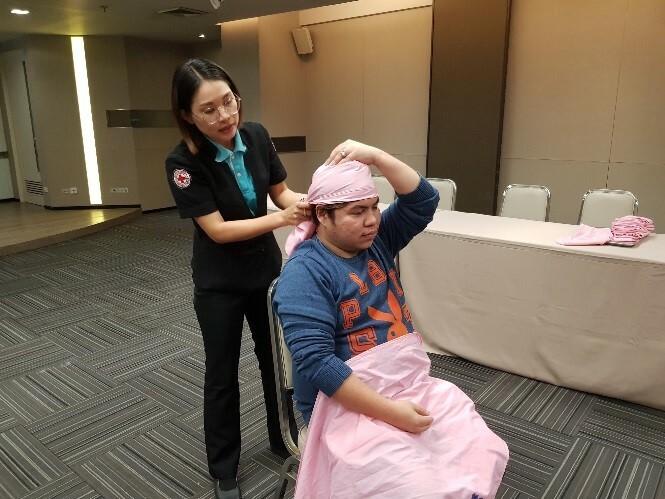 There were 12 Grab taxi drivers participating in the six-hour basic first aid training. 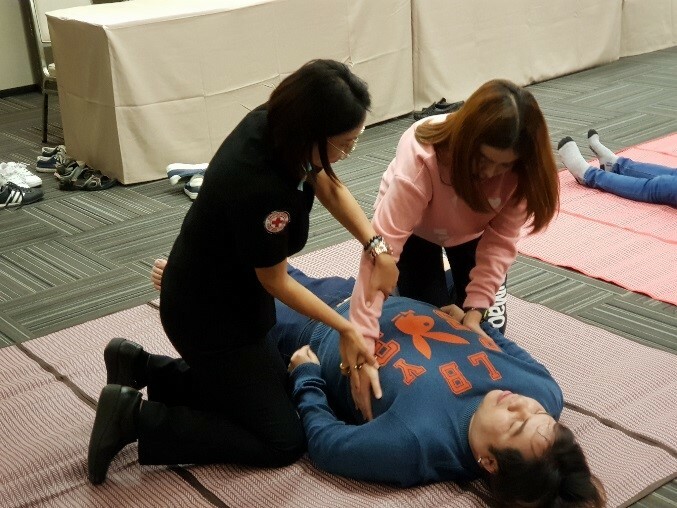 There were six key topics focusing on both technical and practical sessions related to standard basic first aid including: basic first aid procedures; bandaging hands, feet, and head; arms sling; treatment of choking, stroke, and heart diseases; cardiopulmonary resuscitation; and referral and transportation to hospital. 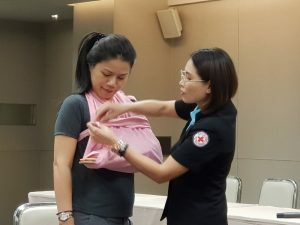 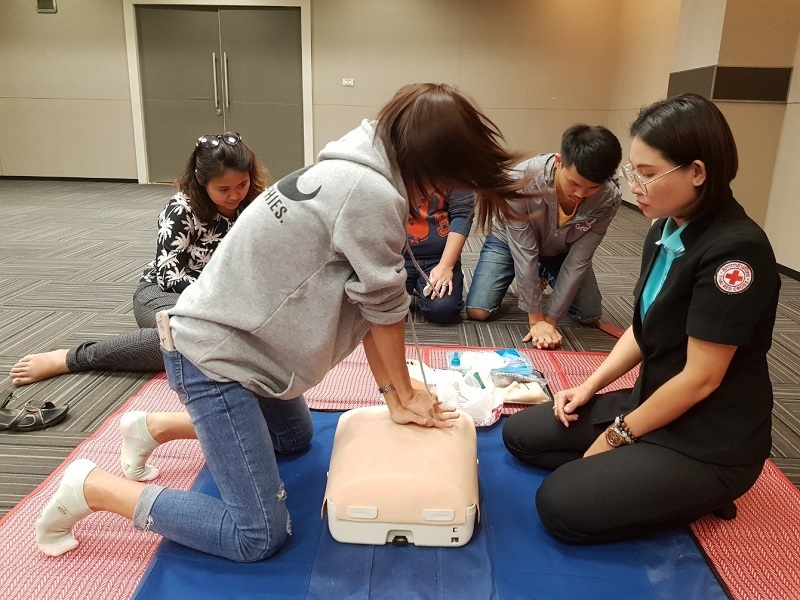 The training was facilitated by three first aid instructors/ specialists from the First Aid Training Centre, Thai Red Cross Head Quarter. All the participants received certificates after completion of the training.